VMware’s introduction of x86 server-virtualisation technology was a game-changing event in the history of enterprise computing. But if you look at the vendor's corporate messaging today, it’s almost as if server virtualisation has been scrubbed from the lexicon. Instead, VMware highlights its multi-cloud strategies, software-defined data centres, networking, hyper-converged infrastructures, security, SD-WAN, containers, blockchain, the Internet of Things and more. So, what’s going on with VMware? If you created a nearly US$6 billion industry, had more than 75 per cent market share and did’t really face much in the way of direct competition, why not just keep doing what you’re doing? Is VMware just trying to latch onto all the latest buzzwords, or is there a method to the madness? According to analysts, it’s been clear for some time that the server virtualisation market is approaching a saturation point. Gartner reported that license revenues for x86 virtualisation declined for the first time ever in the first quarter of 2016, with most enterprises reporting data centre virtualisation levels of 75 per cent or higher. And by 2017, Gartner declared the server-virtualisation market so mature that it stopped doing its annual server-virtualisation Magic Quadrant reports altogether. Meanwhile, the threat to VMware goes beyond companies having virtualised pretty much every workload that can be virtualised. In a bid to reduce capital expenditures and increase business agility, organisations are trying to downsize their data centres and shift existing workloads to the cloud, either on SaaS platforms or cloud infrastructure from AWS or Azure. And as companies decide to go cloud-native for all new applications, they are turning to cutting-edge approaches like containerisation, micro-services and serverlesscomputing, which don’t require a traditional VM. In short, VMware is a classic case of a company facing the “innovator’s dilemma,” according to Jason Bloomberg, president of the analyst firm Intellyx. The decision boils down to whether to just keep milking the cash cow, or whether to try to catch the next wave of innovation and expand into new markets, even if that might mean cannibalising the primary revenue stream. VMware, through a clever combination of targeted acquisitions and internal product development, has taken the innovation route, Bloomberg says, putting together an overarching “VMware everywhere” strategy with a broad product portfolio designed to help companies write, secure, manage and optimise applications wherever they are located. Or, as Chris Wolf, vice president and CTO, global field and industry, at VMware puts it: “Applications and data are becoming increasingly distributed, with organisations operating across a number of data centres, public cloud providers, branch offices, edge locations, and more. "Our strategy focuses on ensuring consistent infrastructure and consistent operations anywhere apps and data may reside and doing so while preserving a native developer experience." Having pioneered x86 server virtualisation, VMware set its sights on a broader range of virtualisation opportunities in data centre infrastructure. “After software-defined compute, it was clear to us early on that the rise of software-defined storage and network virtualisation were only a matter of time,” Wolf says. The company introduced vSAN storage virtualisation in 2014, then used vSAN technology as the core of its VxRail hyper-converged infrastructure (HCI) appliance. VMware leveraged the acquisition of Nicira into its NSX network virtualisation and security product. Armed with a fully integrated stack of virtualised compute, storage and networking technologies, VMware layered on management, automation and orchestration capabilities to create what it calls a software-defined data centre. This is a highly automated data-centre-as-a-service offering that can be deployed in a private-cloud, pubic-cloud or hybrid-cloud scenario. But VMware wasn’t done there. It bought AirWatch to extend application and data management, as well as security features, to end-user’s mobile devices. It bought SD-WAN vendor VeloCloud to bring software-defined technology to branch offices that needed to connect to the cloud. It enhanced its cloud management capabilities with the recent purchases of CloudHealth Technologies and Wavefront, which monitors cloud applications running in containers. And it recently purchased Kubernetes player Heptio as part of its strategy to enable DevOps teams to write applications on the platform of their choice. Forrester analyst Chris Gardner gives VMware high marks for “not sitting on their laurels.” The move into hot new markets is showing results, he says, noting that the NSX business is already a major contributor the company’s revenue stream. And he said that VMware’s recent partnership with Amazon to offer software-defined data centres on AWS is an exciting development with strong growth potential. With VMware Cloud on AWS, companies can migrate and extend their on-prem VMware environments to the AWS bare-metal cloud infrastructure. Gardner does caution that in its push to develop new offerings, VMware sometimes goes a bit too far. “They tend to have multiple solutions to every problem,” he says, which can be confusing to customers. “We believe software vendors need to be opinionated, to come to the table with a recommendation, not a Cheesecake Factory menu,” Gardner says. In addition, analysts say VMware has been a little late to the cloud and containerisation parties, and its strategy has not always been clear and consistent. For example, VMware at one point tried to offer its own cloud platform but torpedoed that effort and more recently teamed with Amazon to offer software-defined data centres on AWS. This enables companies that have a VMware-based data centre or private cloud to extend that enterprise-grade environment to the AWS bare-metal cloud infrastructure with no heavy lifting. Similarly, VMware wants customers to run containers inside its own virtual machines, arguing that it can provide a development platform with the security, orchestration, integration and management features that organisations are accustomed to. Customers who spoke to Network World say they are taking a pragmatic approach to VMware’s rapidly expanding product lines, evaluating each new VMware offering on a case-by-case basis. They seem generally pleased, even surprised at how well VMware has been able to anticipate their evolving needs, and they say VMware’s ability to integrate its products gives it a leg up over point solutions. Ryan Fay, executive vice president and global CIO at ACI Specialty Benefits, began using VMware’s virtualisation products in the early 2000s when he was at a different company. 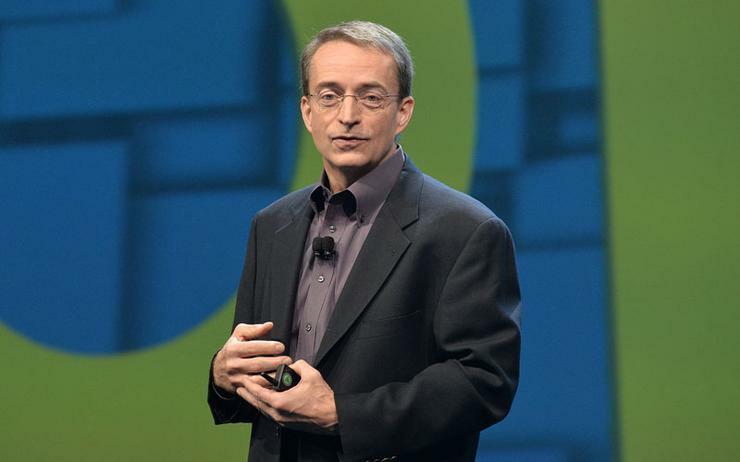 “It’s been exciting to see what VMware has been able to do,” he says.